With the support of now retired City Manager Mark Yokoyama, Jessica Binnquist, who was then Deputy City Manager, wanted to find a more collaborative and direct approach in providing assistance to a growing homeless population in the city. Armed with a City Council-approved contract with Union Station Homeless Services that would provide dedicated shelter space, street outreach and case management to those experiencing homelessness, the City Manager’s Office started to slowly pull together what would be the eventual Homeless Outreach Mental Evaluation (HOME) Team. 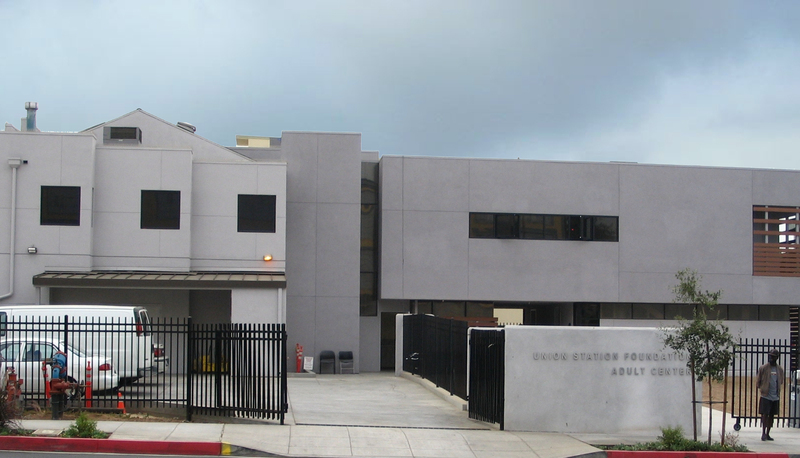 ‍The Union Station Adult Center is where individuals experiencing homelessness can find shelter while receiving assistance for additional services. Over the last year, the HOME Team has become an inspirational group comprised of city officials, Alhambra Police, Fire, and Code Enforcement departments, the Alhambra School District, Union Station Homeless Services and community nonprofits including Kingdom Causes and the YMCA of West San Gabriel. The HOME Team also receives support from Los Angeles County, including regional assistance from the Los Angeles Homeless Services Authority; and the Police Department is assigned a clinician from the Department of Mental Health to assist with the homeless population or people experiencing a mental healthcare crisis. Amber Follett, a housing navigator for Union Station, was assigned to focus on Alhambra’s homeless population a year ago. She is often on the road taking clients to medical appointments, visiting the Social Security Office or getting them to the overnight shelter. But her work always starts with direct street outreach – talking to homeless individuals in Alhambra, hoping to find out what she can do to help those in need, but struggle to ask for assistance. She believes the success of the HOME team has a lot to do with their ability to earn the trust of the homeless population. In the last year, Follett, along with the HOME Team, have helped to place individuals in permanent housing, obtain food vouchers, find people space in the homeless shelter or just get them a shower at the YMCA located in Alhambra. ‍Long-term recipients of services from Union Station will often be moved from an emergency mat to a bed as they await permanent housing. While Union Station focuses on individuals, the Alhambra School District works with families and students that do not have access to adequate shelter by helping them enroll in school and providing immunizations and transportation. The school district’s HOPE program has operated on its own for three years, but joined the HOME team in early 2017, which has been a wonderful way to increase outreach to their families, according to Dr. Laurel Bear, Assistant Superintendent at Alhambra School District. Since the inception of the HOME Team, eight people have been placed in permanent housing, 23 were moved to emergency housing and over 55 people have received assistance in obtaining necessary government documentation, linkage to benefits, medical and mental health clinics, and housing resources. As of December, four San Gabriel Valley municipalities have contacted either Alhambra Police Department or Union Station seeking information to replicate or create a similar community-collaborative model. If you are interested in volunteering on homelessness issues in Alhambra, sign-up to participate in 2018 Greater Los Angeles Homeless Count on January 23 at http://www.theycountwillyou.org/alhambra18 and follow the City on social media for additional upcoming opportunities.